Easy Come Easy Go is the third album of Marianne’s to be produced by Hal Willner (the others being Strange Weather and Blazing Away). 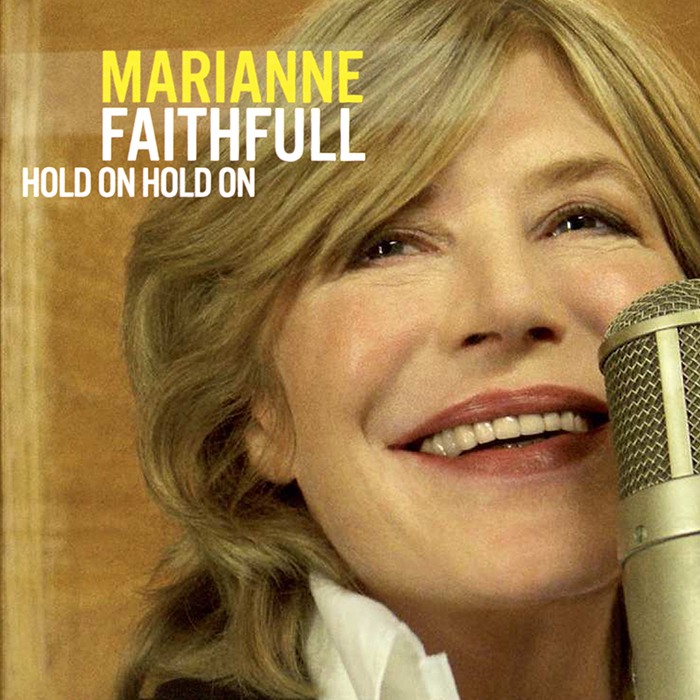 Marianne and Hal have been close friends since they met, back in 1982, and have worked together on many, many different projects over the years, (including three songs from Marianne’s previous album Before the Poison) but Easy Come Easy Go was their first complete studio album since Strange Weather. 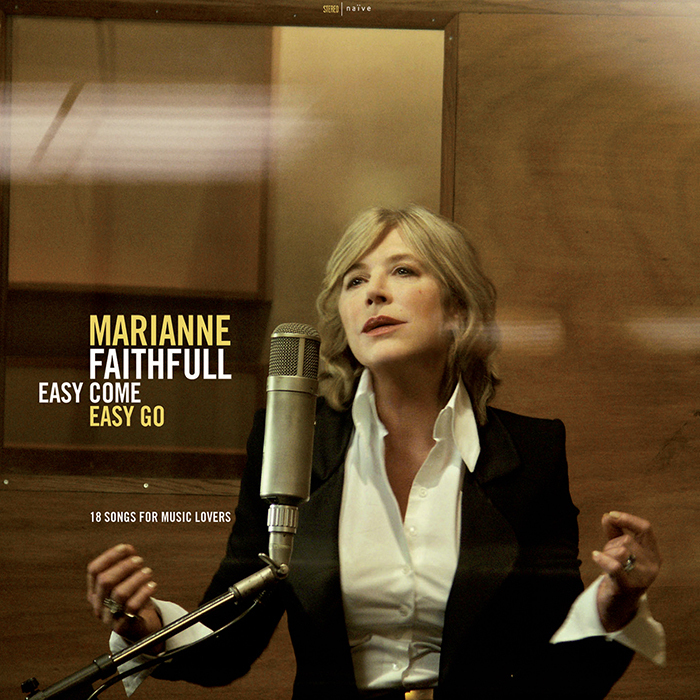 Like that earlier album, Easy Come Easy Go is a collection of songs written by others and interpreted by Marianne. Easy Come Easy Go also includes some interesting guest vocalists; Keith Richards appears on ‘Sing Me Back Home’, Antony Hegarty on ‘Ooh Baby Baby’ and Jarvis Cocker on Sondheim’s ‘Somewhere’. 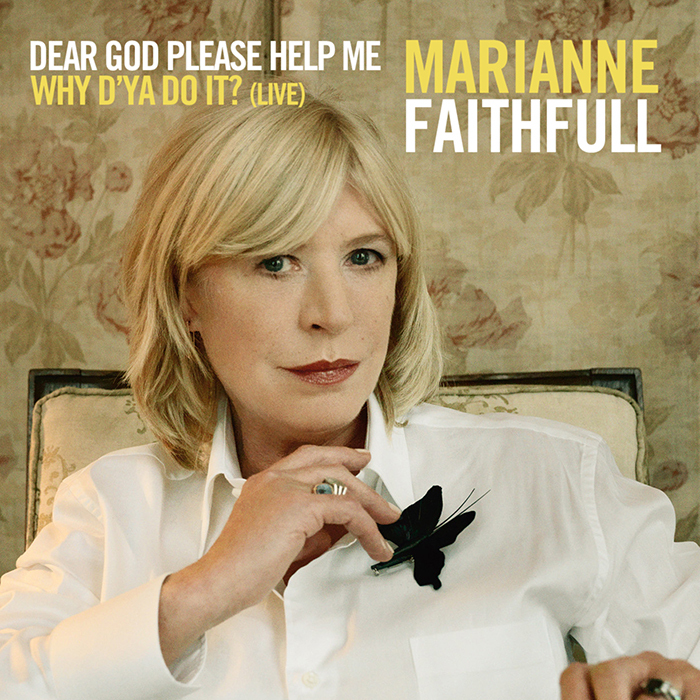 Other guest appearances on the album come from Rufus Wainwright who contributes vocals to the powerful ‘Children Of Stone’ while his aunt and mother Kate and Anna McGarrigle appear on the ‘The Flandyke Shore’. Warren Ellis plays his magic violin on 3 songs and Nick Cave lends some vocals to ‘The Crane Wife’. Sean Lennon and Teddy Thompson play guitar on a couple of the tracks and Cat Power harmonizes on ‘Hold On, Hold On’. The album was recorded live (with very few overdubs) in the oldest recording studio in Manhattan - the famous Sear Sound. Very few takes were needed in fact some of the songs were done in a single take (London sound engineers in the 60’s used to call her ‘one take Faithfull'). The arrangements were by Cohen Bernstein and Weinberg Goldstein and were done specifically for Marianne. The string and horn sections were led by L. Picket and the band includes Marc Ribot, Greg Cohen, Rob Burger, Barry Reynolds and Jim White. Easy Come, Easy Go was released in the EU on 10 November 2008 and in March 2009 in the US and UK. The album came out as both a standard 10-track CD and a special 2 disc 18-track edition with a DVD documentary by Anne Rohart under Jean-Baptiste Mondino's artistic direction. The Australian edition released in February 2009 was issued as a 12 track cd. A collectible 2-disc vinyl pressing of all 18 tracks was also released.